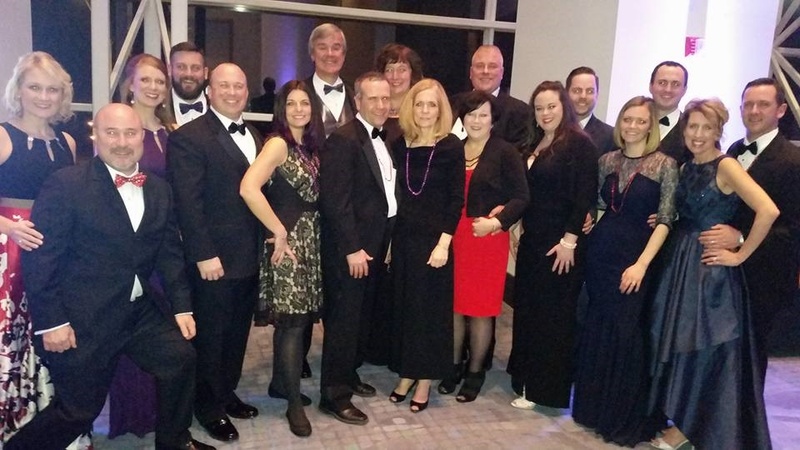 In early February, a large group from Lamp Incorporated attended the First Look for Charity gala at McCormick Place, an exclusive pre-opening black-tie benefit organized by the Chicago Auto Show. 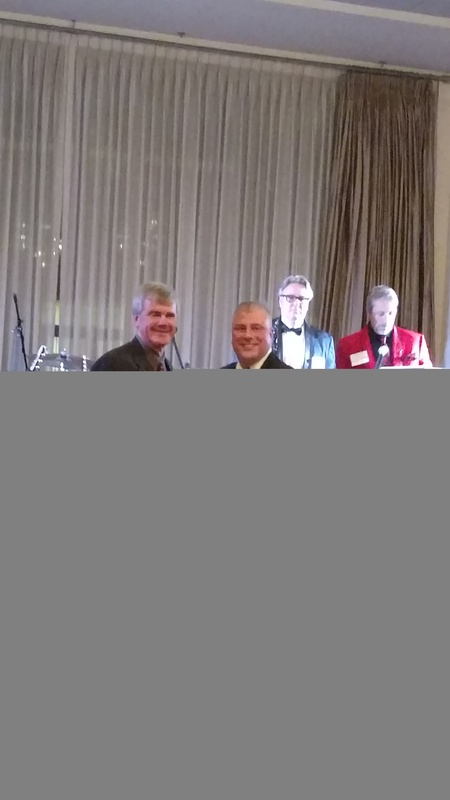 We were proud to be there to support our client, Advocate Health. The event raises money for local charities and is one of Chicagoland’s largest single-day charitable events. 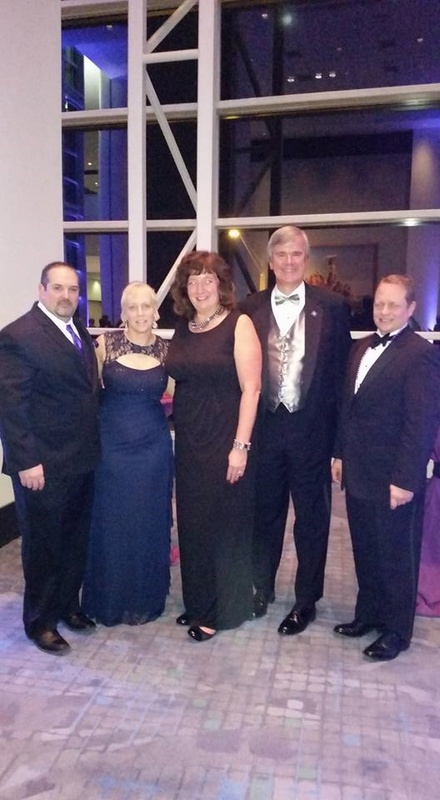 This year, the gala supported 18 area nonprofits. Advocate Health’s beneficiary was the Advocate Heart Institute and the Advocate Children’s Heart Institute, for pediatric and adolescent patients. It was a wonderful evening, supporting wonderful organizations. In 1952, Clifford Lamp was one of the founding fathers of the FVAGC (Fox Valley Associated General Contractors), a suburban Chicago regional chapter of the Associated General Contractors of America. The FVAGC provides networking opportunities, social activities, and assistance to general contractors who are members. 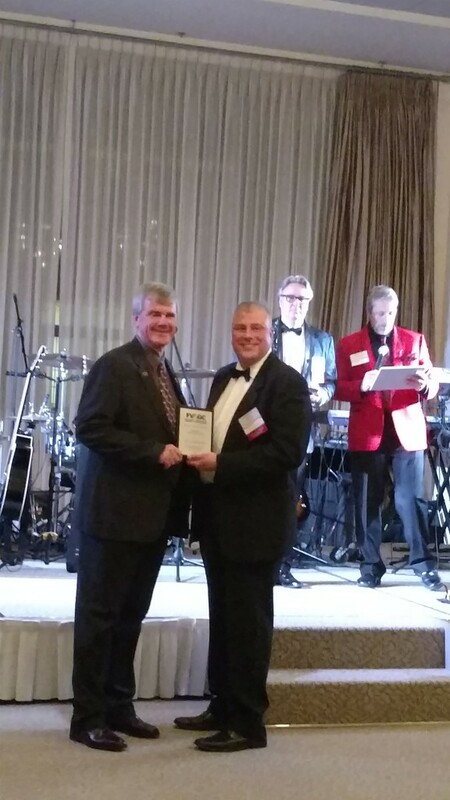 Recently, Lamp Incorporated celebrated the 65th anniversary of the organization at the FVAGC Awards banquet. Currently, Steve Lamp is Chairman of the Education Committee. Ian and Steve are Clifford Lamp’s grandsons. 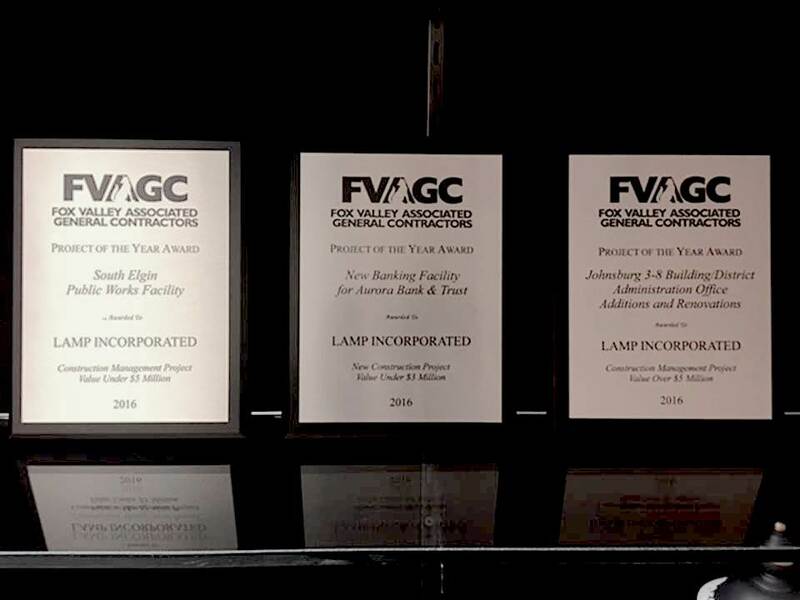 Lamp Incorporated is proud of our commitment to the industry and to this group. Please consider working with Lamp Incorporated on your next project. Contact us today. Until 1:00 PM, Friday, February 10, 2017. Bids proposals will be publicly opened and read immediately following. 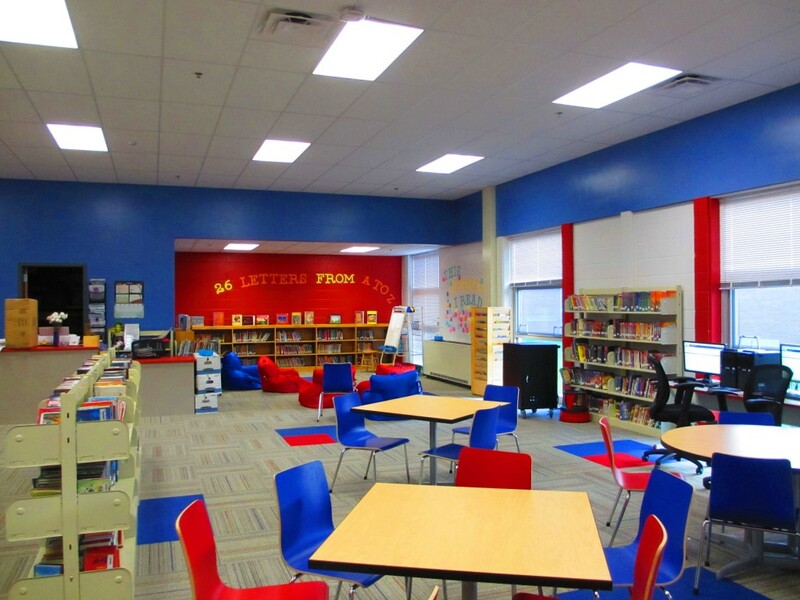 Bids must be submitted in duplicate in a sealed envelope, and labeled “Gilberts & Wright Elementary School Additions – BR2”, the date and time of the bid opening, the Contractor’s name and address, and the Trade Package that is being bid on. A bid day label is supplied with the bid form. 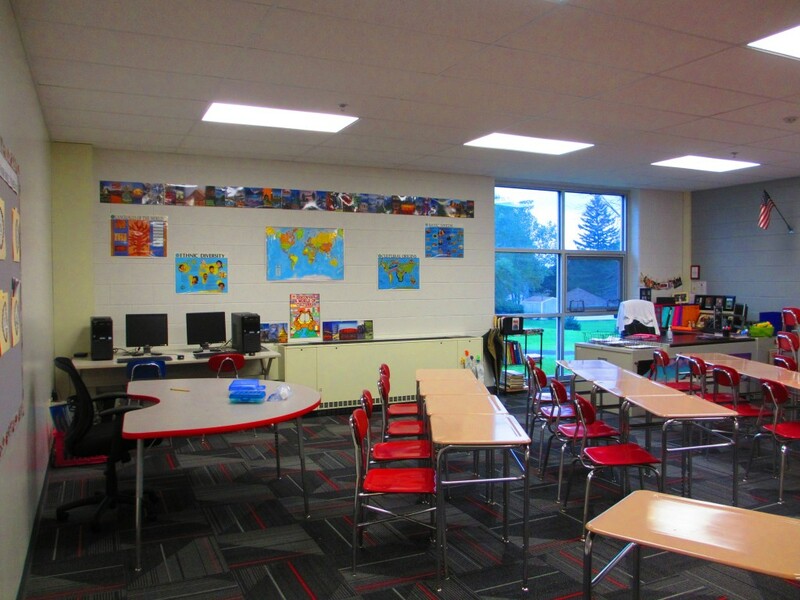 The proposed project consists of selective interior demolition and 9,800 SF (each) of classroom additions to Gilberts Elementary School and Gary D. Wright Elementary School. Prospective bidders should contact Lamp Incorporated (mcomiskey@lampinc.net) to be placed on the bid list. Bidders will then be granted access to GradeBeam to download drawings for free. 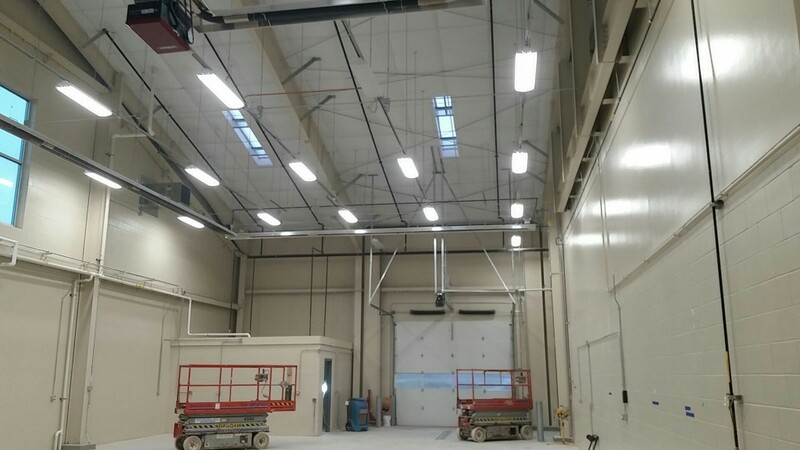 Lamp Incorporated will be utilizing GradeBeam for the entire bidding process, including addenda, so all interested bidders must contact Lamp Incorporated to access the GradeBeam Website. All Contractors wishing to bid on this project must have a Lamp Incorporated Qualification Statement on file, updated within the last year. Contractors’ qualification statements are due in Lamp Incorporated’s office by 3:00 pm, February 3, 2017. A Bid Bond or Certified Check in the amount of 10% of the bid is to accompany the proposal. The successful bidder must furnish a Performance Bond and Labor and Material Payment Bond and Certificate of Insurance within ten (10) days of the award of the contract. Payment of Prevailing Wages is required for this project. 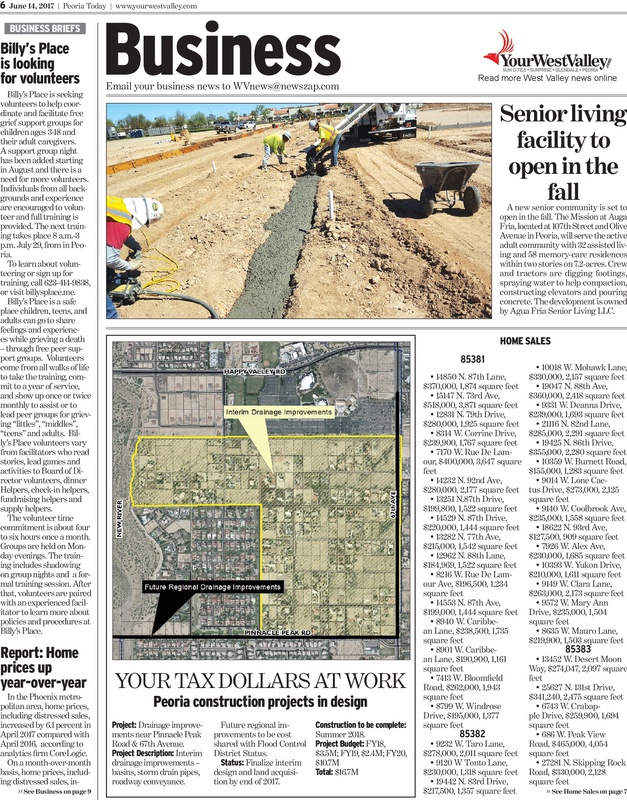 This Project is Tax Exempt. The Board of Education of Community Unit School District 300 reserves the right to reject any and all proposals or waive any bid irregularities. 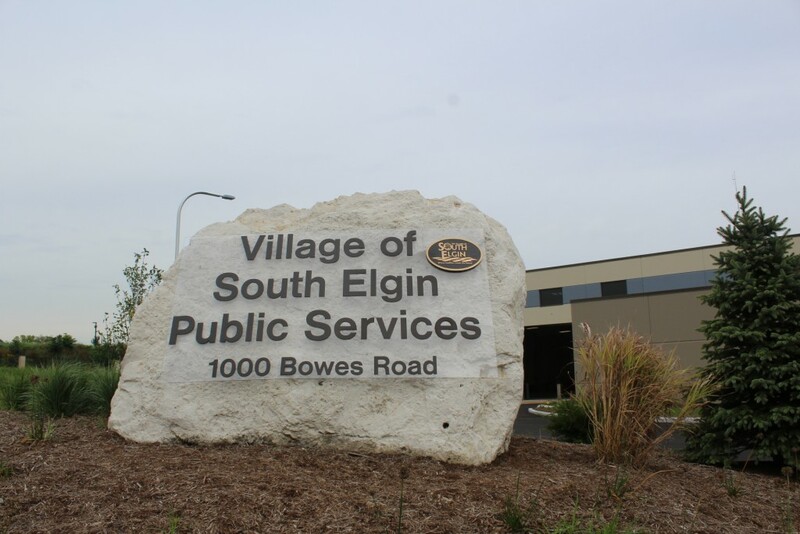 A Pre-Bid Meeting will be held at 2:45 P.M. on Thursday February 2, 2017 at the Gilberts Elementary School, 729 Paperbark Lane, Gilberts, Illinois, and 3:30 P.M. at Gary D. Wright Elementary School, 1500 Ketchum Road, Hampshire. The meeting is not mandatory, but it is strongly urged that all bidders attend this meeting to fully understand the project requirements. Bidders failing to demonstrate a thorough understanding of the project and the existing conditions at the scope review may be rejected. This holiday season, we were lucky to be visited by one of our favorite local organizations, the Boys and Girls Club of Elgin, who we are proud to support! The group sang carols and put on a joy-filled, jazzy, well-planned performance. It brightened our holiday, and we hope it brightens yours! 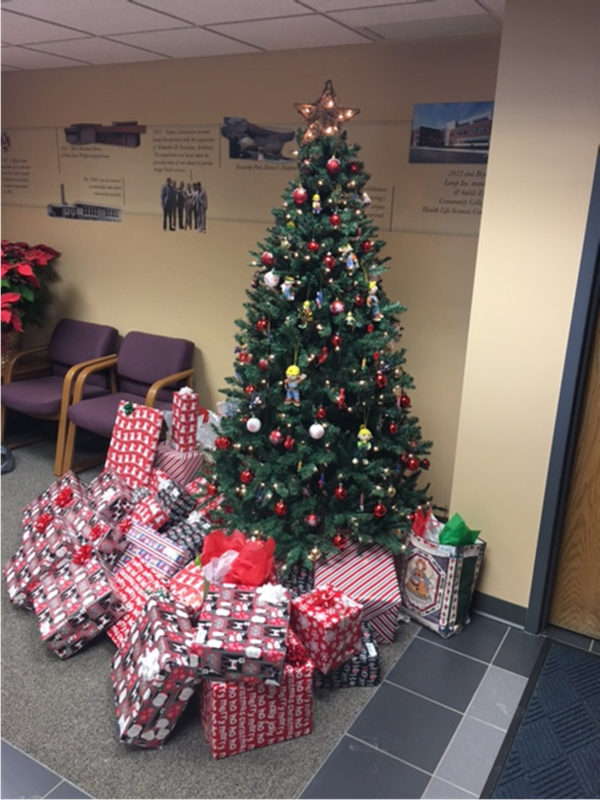 This year as a company, we sponsored four families from the Elgin Boys and Girls Club. We purchased gifts, food and gas gift cards to be sure they have a fabulous Christmas season. 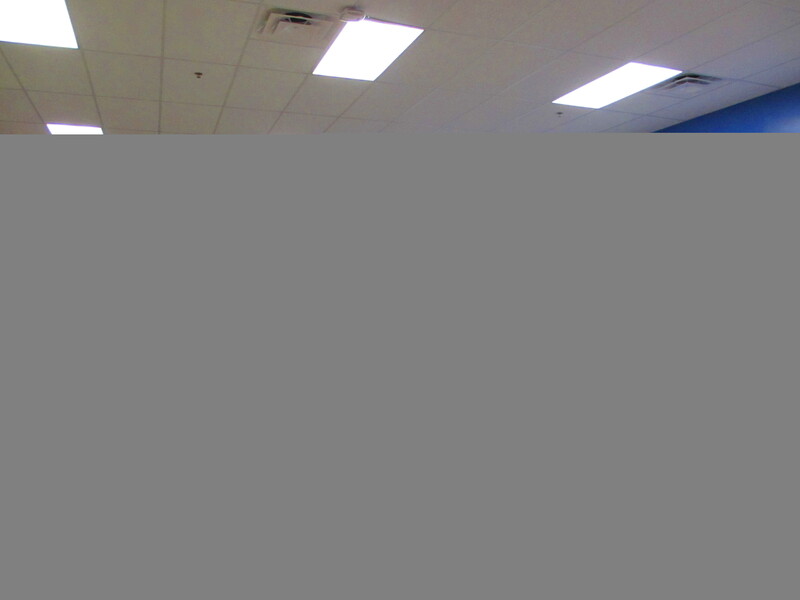 The Boys and Girls Club of Elgin offers 9 sites serving over 2,000 local youth. The organization offers a place after school where children can go for homework help, a warm meal, and fun. Their goal is to enable young people to realize their full potential as productive, caring, responsible citizens. Would you like to learn more about Lamp’s involvement in the community? Join our eList. Over the past several years, Lamp Incorporated has been expanding with our customers to other areas of the country. 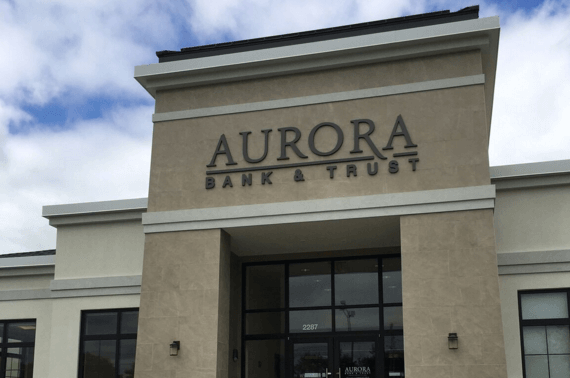 Recently, a great opportunity arose in Nashville, TN, to merit a branch office, leading to our newest location opening in September 2016. 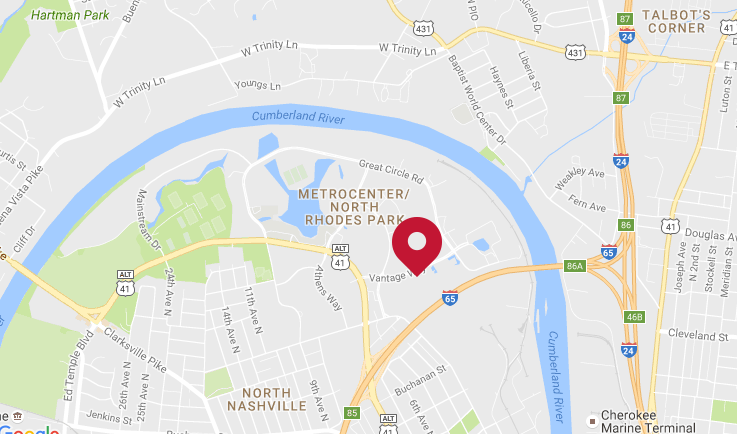 Our new branch office is located at 1 Vantage Way, Suite E120 in Nashville. 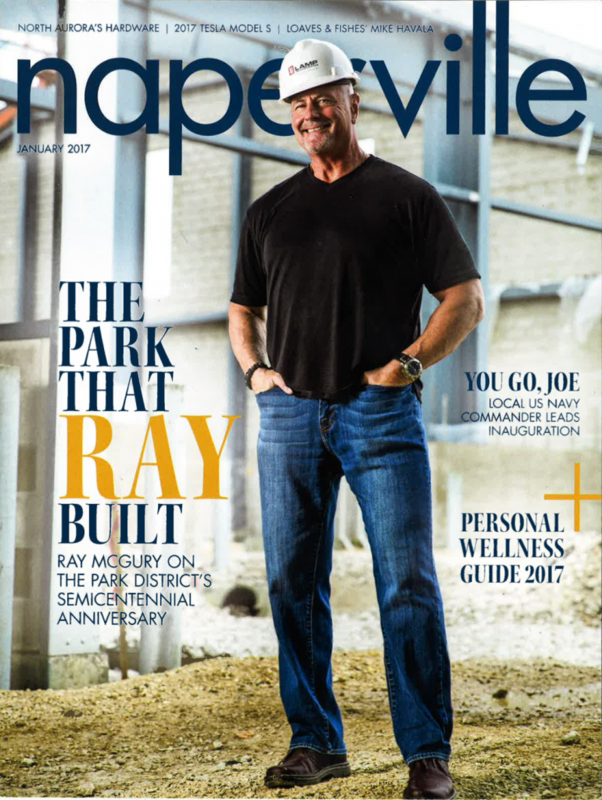 The Nashville area is a perfect fit for our skill sets of Construction Management, General Construction, and Design/Build. Currently, Tennessee is experiencing rapid growth. “Tennessee is considered a “tweeners” state,” said Ian Lamp, President of Lamp Incorporated. “Retirees who don’t want to go all the way south to retire are in a warmer climate in Tennessee than in the Midwest, yet half way to Florida for vacation. 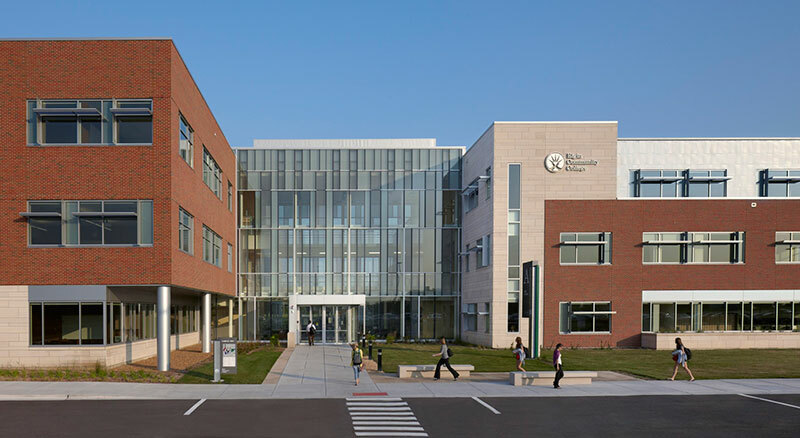 Young families are also moving to Nashville for business opportunities as there are several corporate headquarters based in the area along with a growing medical community. There is a need for public building infrastructure that we are experienced with. Since the Cubs, our hometown team, have made it to the World Series, all anyone in our town can talk about is 1945—the last time they were in a World Series. The Cubs have never been in a World Series that aired on television. There were no lights in the stadium. A World Series ticket cost $6-7, the equivalent of $80-95 today. This made us want to look back at the beginnings of Lamp—a 13-year-old business the last time the Cubs were in the World Series. Clifford Lamp started Lamp Construction in Elgin, IL, in 1932. As you can see from the below picture, at that time Phone Numbers were listed as SH.J-9325. Try dialing that into your cell! Our focus at the time was largely home building. 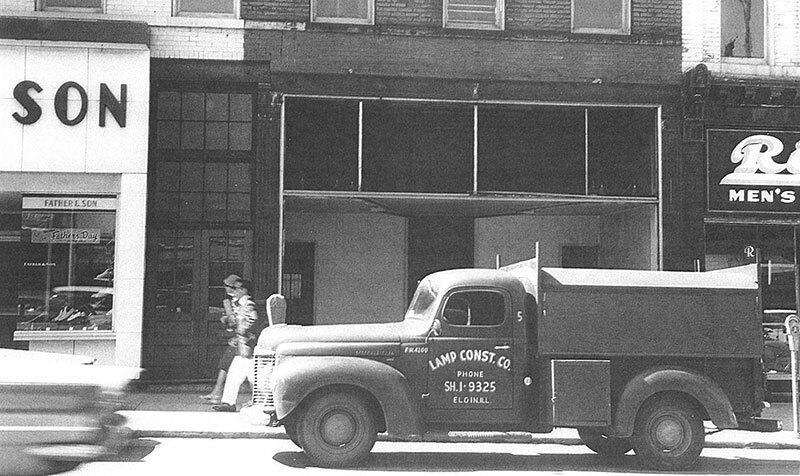 From 1942-1945, Lamp was involved in major expansions at Elgin Case Factory, who built equipment during World War II. Around the time that construction was complete, the Cubs were taking the field at their most recent World Series. Then in 1946, England was in a rebuilding phase and needed help. Lamp Construction built prefab homes that were shipped to England to help the war-torn country rebuild. 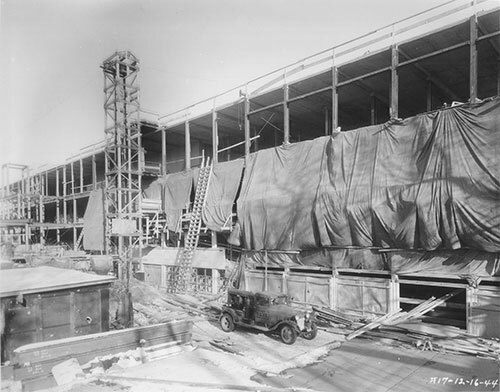 In the 1950s, Lamp started building more commercial buildings. And in 1958 (around the time Ernie Banks was earning his Gold Glove), we built the Muirhead Home, a Frank Lloyd Wright Designed house. We became Lamp Incorporated in 1972 (around the time the Cubs picked up the nickname “Loveable Losers” and also during the Ron Santo years), with the acquisition of Schmidtke and Associates, Architects. 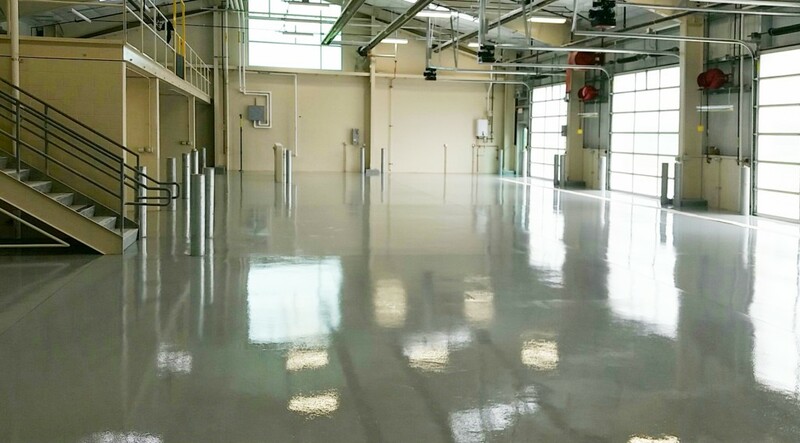 With this shift we were able to meet the growing needs of clients to provide design/build services. 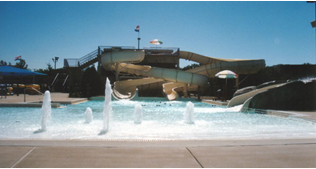 In 1992 (around the years of Ryne Sandberg and Mark Grace) we completed our first Construction Management Project at Dundee Township Park District’s Dolphin Cove Aquatic Park. And now here we are in 2016, a Cubs World Series year! 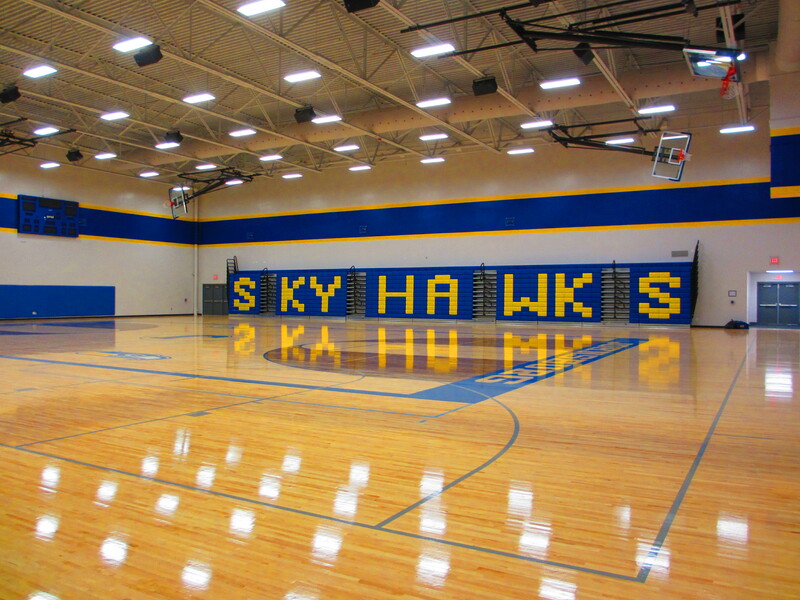 In 2016, Lamp conquered and completed 15 months of multiple renovations and additions to Johnsburg School District 12 scoring a home run with the students, staff, and community. We are proud of our long history—as proud as we are of the 2016 Cubs! Hey Chicago, what do you say? 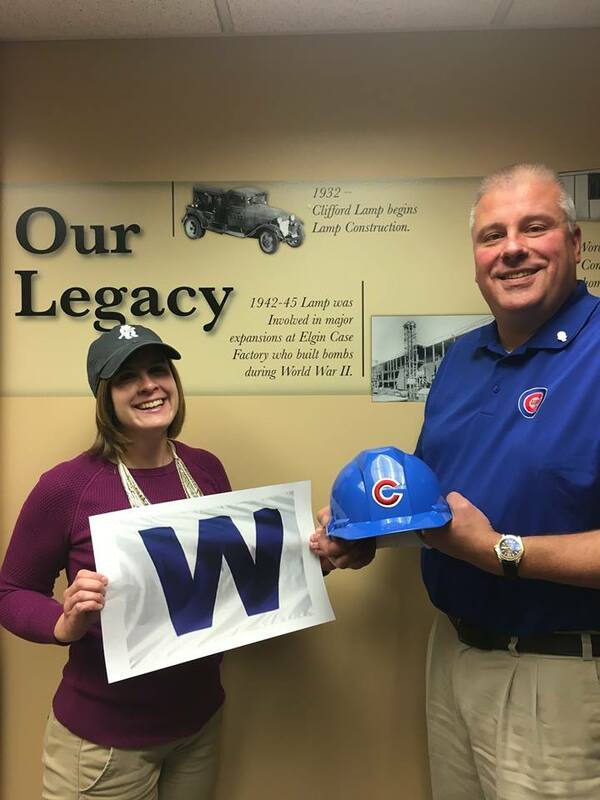 Rachel Lamp, Assistant Project Manager, and Steven Lamp, Secretary/Treasurer sporting their Cubs gear. Join our eList for more Lamp news and updates.